Presented is a PSA 10 Mike Trout-Old Hickory model MT27* from Trout's 2017 season, is un-cracked and displays evidence of outstanding use. 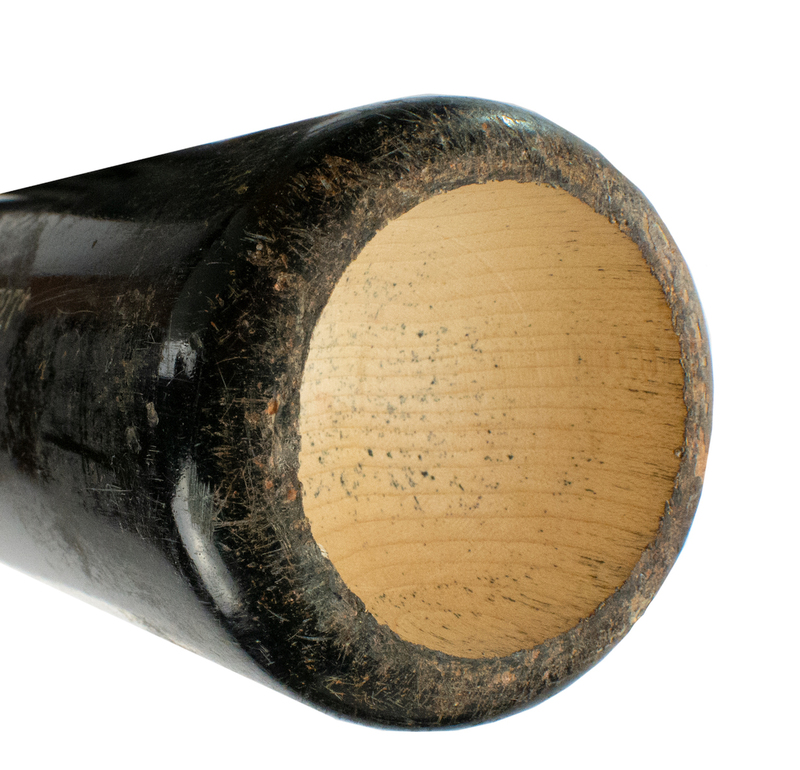 Numerous ball marks and stitch impressions are visible on the left and back barrel. 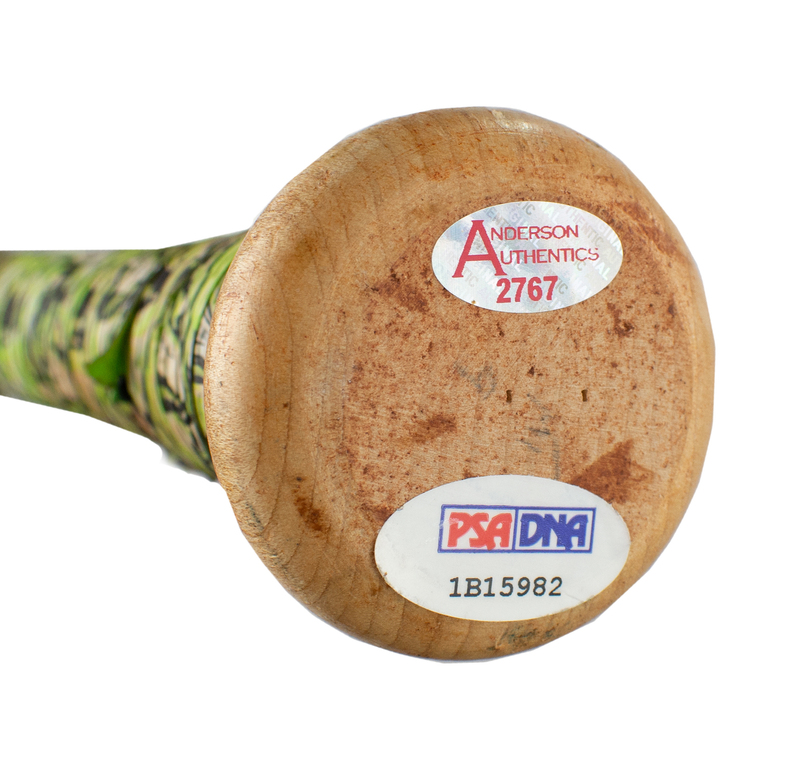 There is a heavy coat of pine tar on the upper handle. Also visible on the barrel are cleat marks and an impression from a weighted batting sleeve. 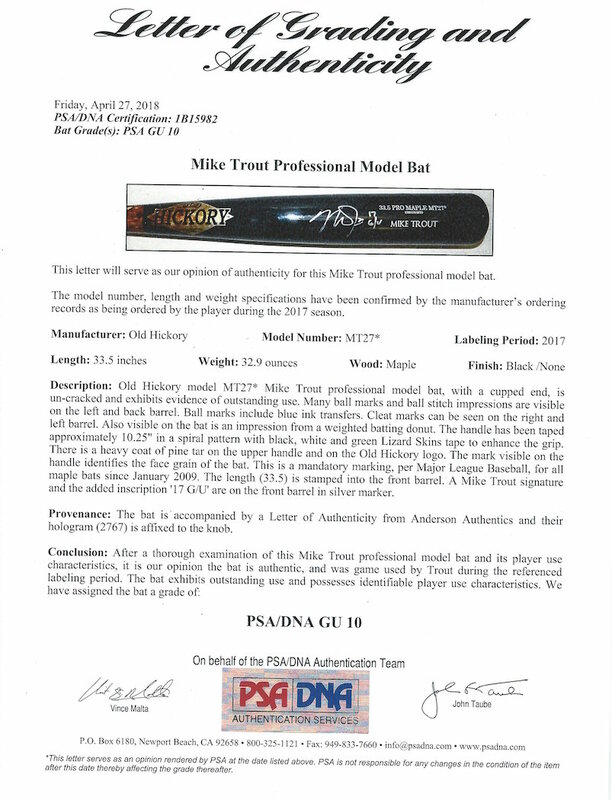 The handle of the bat has be wrapped with Lizard Skins tape to enhance the grip and Mike has autographed the front barrel in silver marker. 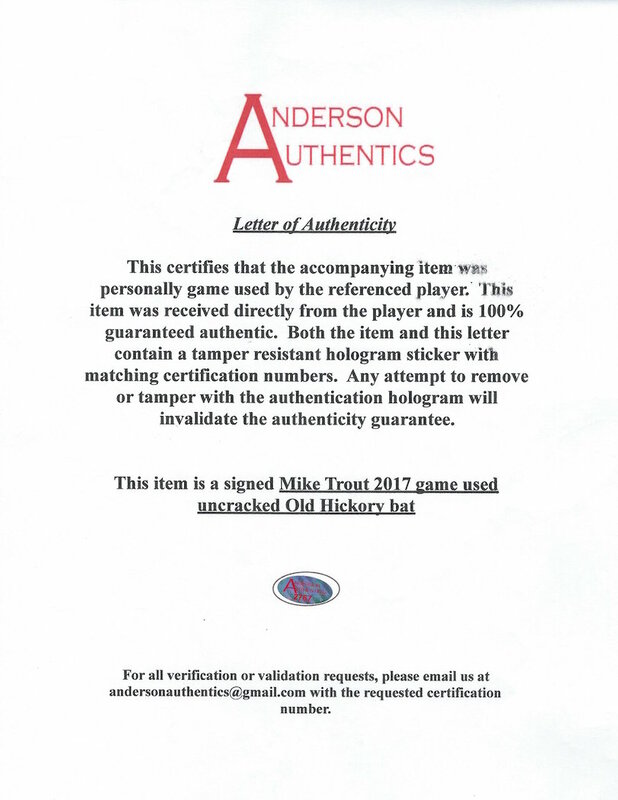 The bat is accompanied by a Letter of Authenticity from Anderson Authentics confirming the game use of the bat. Anderson's hologram (2767) is affixed to the knob. 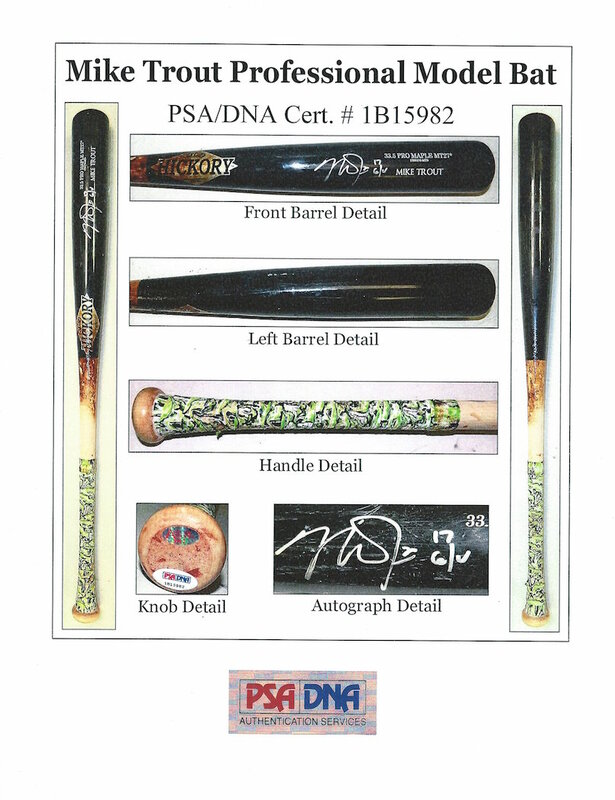 A perfect gamer of the games greatest player accompanied by a PSA/DNA Letter of Authenticity.